This week, we talk to Eiler Fagraklett (pictured above). He's on the board of LGBT Faroe Islands. 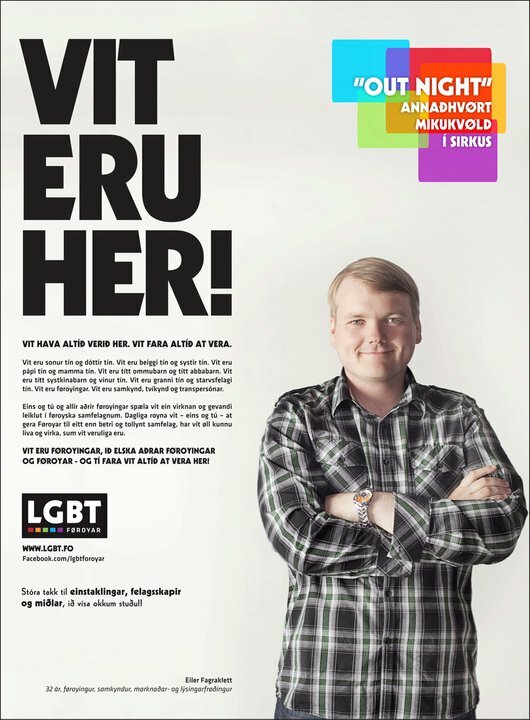 We'll talk about he state of LGBT rights in the Faroes, and about the new ad campaign (also pictured above) where members of the LGBT community essentially out themselves. Then we travel to an old Faroese village where the ferry no longer stops, but that hasn't kept it from being a thriving village. Huge photo gallery from the Faroe Islands.